Whenever people move they always want to make updates to their new homes, whether it is a new home, or a new rented apartment. It always is fun to make a space your own and add your touches to it. This can be very expensive to do though. It is especially expensive if you are getting new furniture for your home. Each of those little projects really adds up and can leave you with a massive bill. But, that doesn’t have to be the case. 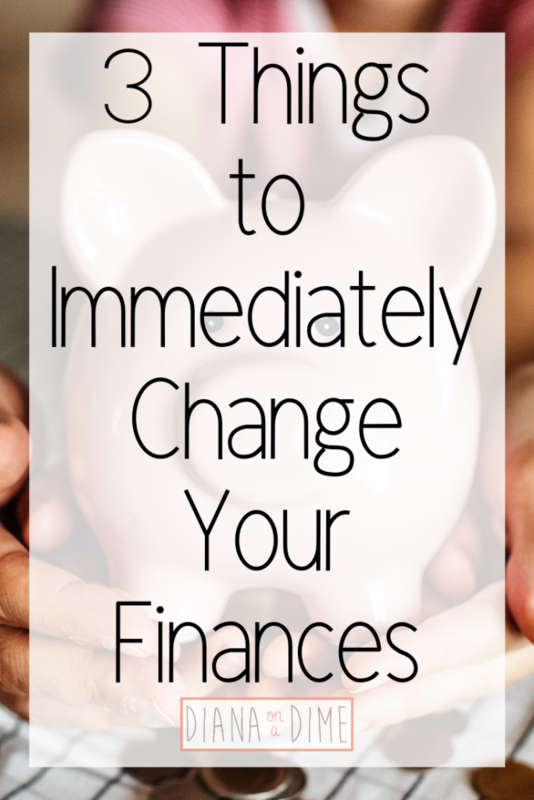 You don’t need to spend a ton of money to do these things and you certainly don’t need to go into debt to do these updates. Sometimes you need to get creative and think outside the box to make these ideas a reality, but they can be done on a budget. Now, you may be wondering how I am writing a piece on home renovations when I live at home with my parents currently. I figured that may be a bit confusing. My boyfriend recently bought a fixer up and we have been fixing it up since day 1. Through this process, we both have picked up some great tips to save some money in the end and not to use debt in the process. 1. Look to garage sales and family furniture when doing a renovation. It is amazing what people are giving away. Sometimes you can find the exact piece you are looking for from family, neighbors, or garage sales. If you get really lucky at a garage sale and they have a few pieces you are interested in, they will usually give them to you for cheaper. When my sister and I were in college we needed to furnish our 2 bedroom apartment. We managed to furnish the whole thing for about $1,000. That included two bedroom sets, two desks, a couch, coffee table, and dining room table with chairs. 2. When doing renovations, paint everything yourself. Painting isn’t always the most fun activity, especially when you have a lot to paint. However, hiring someone to come paint for you, can be incredible expensive. If you can get some friends to help you, order some pizza and drinks and you’ll have the place painted in no time. By painting the place yourself, you will save so much money just in this one area. If you are going to be painting by yourself, I suggest you separate the areas and complete them one day at a time. This way you won’t get burnt out of painting, but will be more excited to see the spaces transform. It’s amazing just what paint can do to a space! 3. YouTube will be your best friend when doing renovations. It is amazing what tutorials you can find on YouTube and I highly recommend you trying to do a lot of renovations on your own, if you feel comfortable. My boyfriend replaced a sink faucet and 2 toilets in his house just from looking up some tutorials. This alone saved him $300 in labor because they were asking for about $150 just to install one toilet. Of course, if you watch the tutorials and you just don’t feel comfortable with doing it, then find someone that can do it for you. Sometimes, it’s worth it to get it done correctly. When you cash flow a renovation, it will take longer to complete. However, not having the burden of the debt months later will make it so much nicer to live in. When doing renovations, I would make a list of everything you would like to do and then make a list of the practical order to complete them. For example, it is easier to paint before you redo any flooring, that way if you spill paint, it doesn’t matter. 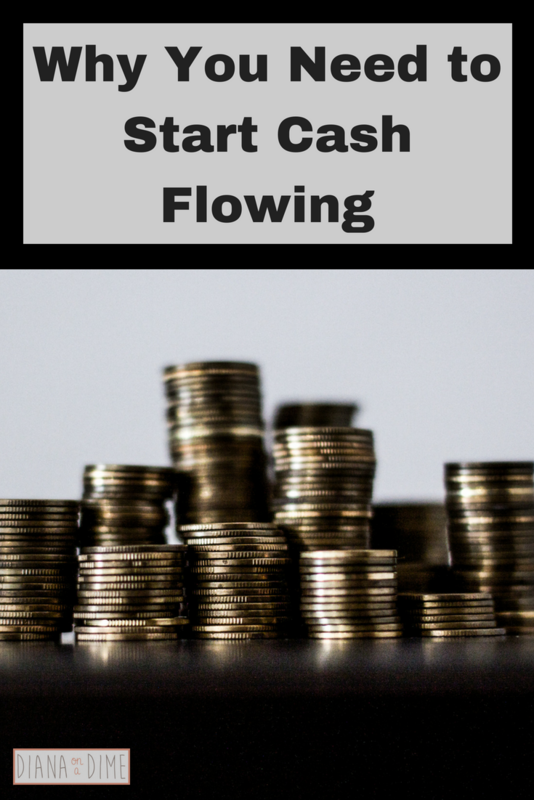 After you have this list made, you need to decide what you can do on your own with the money you currently have set aside for this and what needs to be cash flowed still. This will allow you to price out projects and add it into your budget. If you need help creating a budget, I have a template for you to use! By cash flowing renovations it will take longer and you will be living in a work in progress for a bit, but you won’t have a bill every single month or interest. The biggest part of making renovations is to keep in mind how much everything is going to cost, buy quality materials, and find ways to save money where you can. Don’t be concerned about working in a constant state of renovations, it will be worth it in the end not to have any lingering debt. 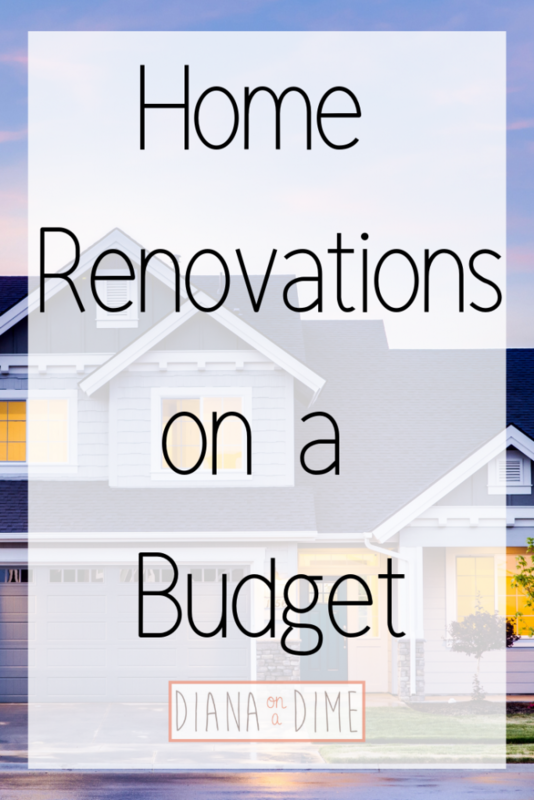 How have you made home renovations on a budget? The first thing everyone thinks when they hear budget is being restricted. I know for myself at 22 when I thought about creating a budget I thought I’d never get to do anything, since I’d be on a budget. The reality is that this just isn’t the case. 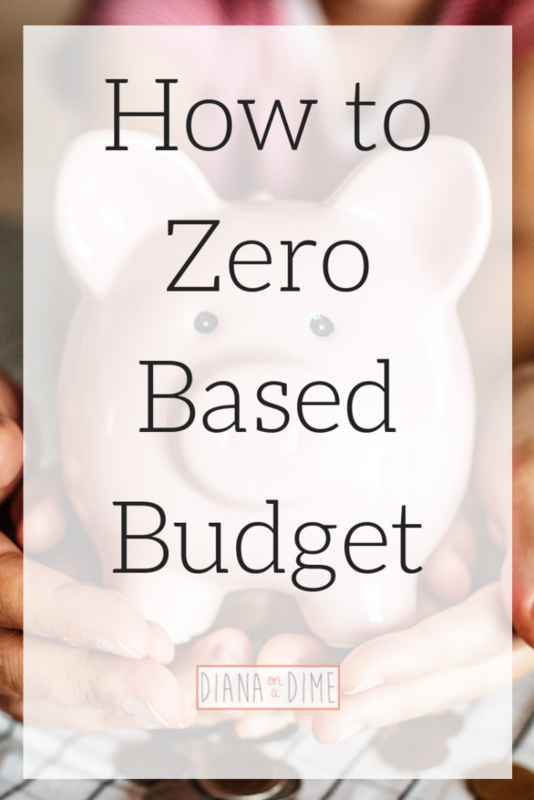 Budgeting is simply managing your money, it doesn’t mean you need to hole yourself up at home! Your budget will set you free to spend your money because you will know exactly where your money is going. By following these steps, you will find ways to also live your best life while still keeping to your budget. If you need help setting up your budget, I have a template you can use! 1. Determine what you value. I am a firm believer in spending money on the things that you value. Track your spending for a month and see where your money is going. Which purchases were needs and which were wants. From your wants, what do you truly value, what brings joy to your life. This is obviously different for everyone! Whatever it is that brings you joy, make sure you include that in your budget. The things that you could go without, cut that expense from your budget. This doesn’t need to be extreme at the beginning. I honestly recommend not cutting much out in the beginning of budgeting because you will feel restricted, when that isn’t what budgeting is. Cut things that annoy you. I remember when I saw all my expenses the first time I realized the absurd amount of money I spent at Chipotle. Of course, I didn’t cut Chipotle from my budget, I just cut back in how frequently I went. At the time I was a full time grad student and woking full time. Once a month I worked from 8:00-3:00 and then had back to back classes from 4-10. These were the days I treated myself to Chipotle. Now I simply have a restaurants line in my budget that I use however I want. I found a balance of what I feel comfortable with after a few months of budget, and you will find that balance as well. 2. Find ways to lower your necessary expenses. Of course there are things that you just can’t cut from your budget, housing, groceries, utilities, etc. These are necessary expenses and they are going to be a part of your budget, but you should find ways to lower them. For example, I moved back home with my parents after graduating to cut a major expense when I really didn’t have money to afford moving out. Another great way to lower your expenses is to pay off your debt. Of course this is going to take time, but ultimately it will get rid of a necessary expense in your budget once it is gone. You can use this free awesome tool that helps you calculate your debt payoff date to help motivate you. Another way to lower your expenses and pay off your debt faster is to refinance your student loans for a lower interest rate. I refinanced mine with Earnest to get a 2% lower rate and you can too, and get $200 when you refinance with my referral link! The best part about lowering the necessary expenses you have is that these expenses are typically the higher ones. For example, if you can lower or eliminate your housing expenses, it’s going to make your money go so much further for you. 3. Tweak your budget every month. After you complete a month on your budget you need to reflect on how that month went. Did you feel restricted? What made you feel restricted? What brought you joy this month? By reflecting on your budget it will allow you to spend money where you want to spend it. For example, going out with my friends for happy hour on Fridays is something that I enjoy a lot. I plan for it and make sure it is in my budget every month. Something that I don’t enjoy as much is going out for lunch and dinner during the week. For one thing, I don’t have time for it, so I don’t budget for it. Find the things you love and include them in your budget. A budget is meant to give you permission to spend, but spend on the things you value. When we waste money on the things that don’t bring us joy, we are simply throwing money away. 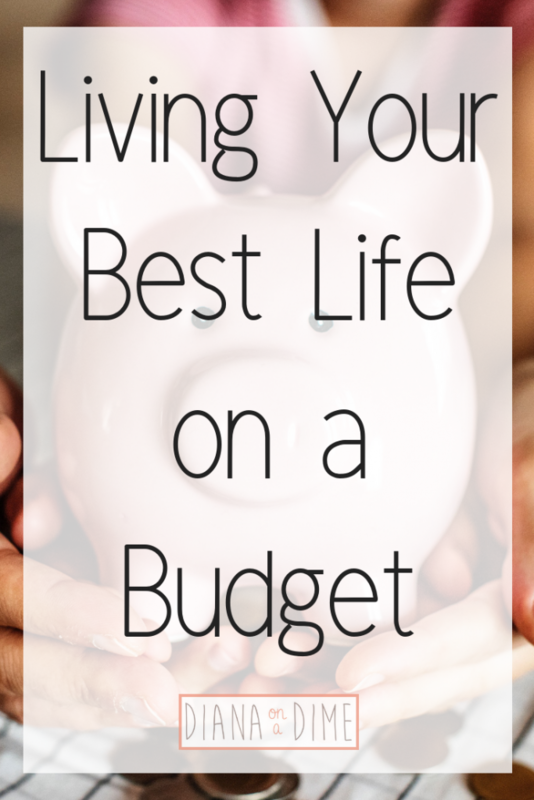 How do you budget for your best life? 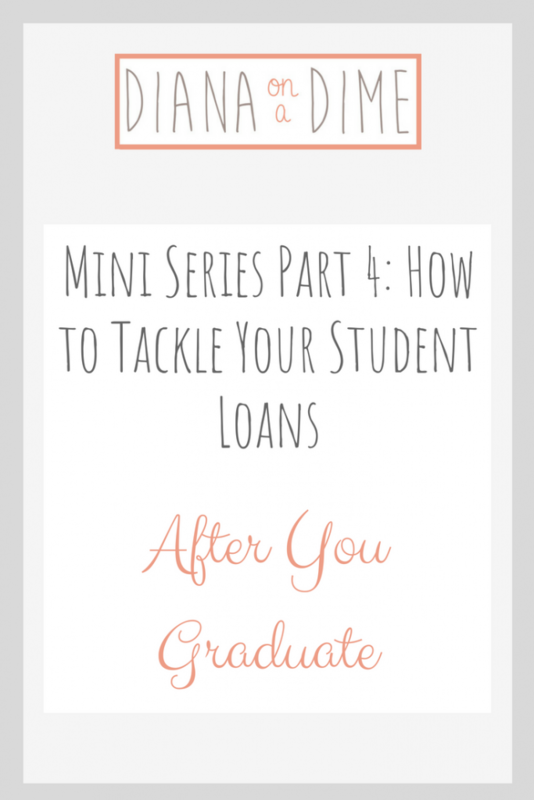 In this four part mini series you will find all the tips to tackle your student loans regardless of where you are in the process. Student loans affect almost everyone now, which is a very sad reality. From the time a person graduates high school, it’s usually an issue in their life. 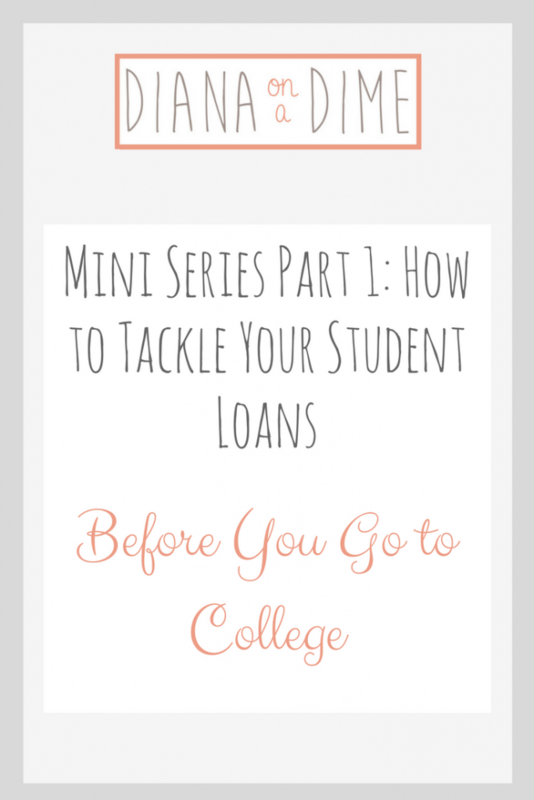 So, I’m starting this mini series with tips for before you go to college and ending it with tips for after you graduate and have entered repayment. You’ve crossed the stage, you’ve started in your very first job, and you live in your very first apartment. Everything is falling into place, like it is supposed to after graduation. Now you need to start getting serious about where all of this new money is going that you now have and how you’re going to go about your student loans based on the work you put in for them before you graduated. Finalize that budget that you drafted before you graduated. Before you graduated you drafted a budget based on what you thought your income would be and your expenses. Well, now it is time to finalize it. You should know by now how much you will be making monthly, how much your expenses will be, and how much your student loan minimum will be each month. Once you know for sure where your money is going each month, then you can see where you can cut things out. For example, I realized I was spending about $250 each month on eating out when I first tracked my spending. That was a huge reality check for me. This is going to take some time and don’t think you’re going to have your budget set right away. Take the time to make it work for you and don’t rush the process. 2. Save a small emergency fund. This needs to be a personal choice for you and what you are comfortable with having in case something comes up. I personally have about a month of expenses in a savings account I don’t touch, unless an emergency comes up that I need to use it for. An emergency would be something you can’t plan for, like your car dying. It’s not meant for regular budgeted items, like clothes or food. If you want to go shopping or eat out, put it in your budget! 3. Create a payoff plan for your student loans. Creating a payoff plan for your student loans is super important to getting them gone ASAP. Without a plan, you won’t know what to prioritize or what you need to do. I personally use undebt.it to plan my debt payoff. It’s wonderful, and allows you to pick what strategy you want to use. It even tells you how each plan will change your debt free date. The things you will need to do this is to have your individual account details (amount, interest rate, minimum, etc. ), and know how much extra you can put towards your debt realistically based on your budget. 4. Adjust as life changes. The most important part of a budget is to constantly adjust it as your life and priorities change. Your budget should change as your life changes. This allows you to be in control of your money versus your money being in control of you. In the beginning, it definitely feels like your money controls you because you’re probably sending a lot of money to your lenders. I know for me, most of my income went to my debt minimums when I first graduated and it was hard. But, I knew as I paid off more, the control would come back to me. As you continue post grad, it will get easier as you get more comfortable with the process. No matter your circumstances after graduation, there are options to make things easier for you financially. There is never a one size fits all when it comes to finances and ultimately you need to make your decisions personal. With that being said, if you have any questions about getting your budget together or creating a plan to pay off debt, feel free to email me with any and all questions! How did you tackle your student loans after graduation? Before I went to college, I had no idea I would end up having roughly $200k in student loans 5 years and 2 degrees later. My parents always told me that I would need to take out some loans, but they were going to able to help me with school. Unfortunately, they couldn’t help me with school as much as I thought. I’m not saying I expected my degrees to be paid for by my parents, I never once expected them to give me a dime, until they told me they would. Here are a few things I wish I had known and done before I began my higher education and student loan journey. This is the biggest one for me. I did not fully know my parents financial situation and didn’t ask for details about what it meant for them to help with school. Unfortunately, I did not get much financial aid because the FAFSA is filed based on your parents income and finances, not mine. This is why it is so important to understand how your education will be paid for. Don’t do what I did and not ask questions. Be specific with your parents about how this is getting paid for. This is a HUGE financial decision and since it’s all based on your parents finances (usually), it’s important to understand how it will be paid for. Usually your high school has someone to talk to about filling out the form, but it is best to talk to an expert on how to fill the form out. It’s a pretty straight forward form, but there’s some things they don’t need to know and other things they absolutely need to know. My best advice is to seek out an expert on what the form absolutely needs to have on it because it determines how much financial aid you are going to get. Unfortunately, my mom took responsibility for all of this for me, which at the time was wonderful for me, I didn’t need to deal with it. But once my sister and I received practically no financial aid, we talked to an expert. He quickly told us we provided a lot of unnecessary information, which made our financial situation look very different from what it actually was. If I could go back to when I was applying to colleges, and knew what I know now, I might not have picked the university I went to. It’s very hard to say that after the amazing program I went through. However, it was incredibly expensive and far from home. I could have gone to a closer university and commuted, saving me a lot of money. Of course, I went to a university that has the #1 program for teaching, so would I have landed a teaching job so quickly after graduation had I not done the program, that’s the tricky part. You will never know what will happen in the future, but my advice to you is to avoid having to go into a ton of debt, like I’m currently in. I made the mistake of not applying to a lot of scholarships because I thought I had no chance of getting it. What I have learned since then is that some scholarships aren’t given out because no one applied to them. That could have been money for my college education. I learned in grad school that you NEED to tell people your situation in order to get the help you need. In our society people don’t talk about their debt or financial situation, but that’s exactly what you need to do. Once I confided in the grad recruiter that I was drowning in debt, she called the right people and within a week I had an email saying I earned a scholarship. Of course, I had done a lot of work for my school in undergrad and my grad studies at that point, which definitely paid off. Federal and private loans are very different. Federal loans have some loan forgiveness programs, usually lower interest rates and offer a bunch of options for repayment. Private loans have no forgiveness options usually, limited or no payment options, and usually very high interest rates. Stick with federal loans if you can, you’ll be happy you did when repayment time comes along! The next part of this mini series will explain some tips for when you’re in school. What are some tips you have for tackling student loans before you start school?